In this Feb. 5, 2019, file photo, Minnesota Gov. Tim Walz addresses a news conference in St. Paul, Minn. The Minnesota Legislature braced Wednesday for its first hearing this session on gun control, with testimony scheduled on bills to require universal criminal background checks for gun purchasers and to let families and police ask courts to take guns from people judged to pose a threat to themselves or others. The hearing before the House public safety committee was set for 7 p.m. at the Capitol. The committee chairman, Rep. Carlos Mariani, tried twice to schedule it at schools to highlight public concerns over recent school shootings. But the St. Paul Democrat had to back down after gun owners pressed the Edina and Hopkins districts to allow them to carry their weapons into the hearing. Mariani said he intended for his committee to pass both bills Wednesday night, but would take them up again Thursday evening if need be. The two bills are high on the new House Democratic majority's agenda, and Gov. Tim Walz reaffirmed his support in his budget proposal last week. But it's not clear if they'll get anywhere in the Senate, where Republicans hold a three-seat majority and some rural Democrats oppose gun control. In the wake of the mass shooting in Parkland, Florida, there has been a national conversation about banning assault rifles. But what defines an assault rifle is up for debate. 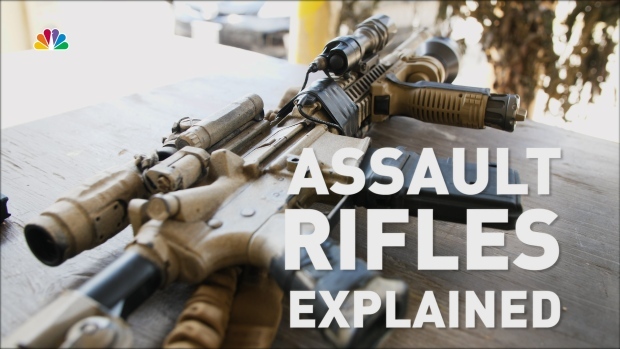 Here is everything you need to know about assault rifles. The Minnesota Gun Owners Caucus staged a rally in the Capitol Rotunda on Saturday to show its opposition to the bills. Senate Majority Leader Paul Gazelka told the cheering crowd that he could say with confidence that background checks "ain't gonna happen." And the Nisswa Republican vowed that while the House is likely to pass the "red flag" bill allowing authorities to temporarily confiscate guns, "the Senate Republicans and a handful of Democrats in the Senate will stop it." But the lead Senate sponsor of the proposals, St. Louis Park Democrat Ron Latz, said Tuesday that he's not ready to give up. Domestic violence-related deaths, deaths of police officers by firearms and suicide deaths all have fallen in states with similar laws, he said. And he said there's strong public support for the legislation. "I think it would be a mistake for any political leadership to get out front and say we're going to stand in the way of all of it," Latz said in an interview, adding that he's ready to try to force a vote if the Senate leadership won't schedule a hearing or floor vote. "We're going to have a vote of some sort in the Senate on these bills before the end of session," he said. "We'll use whatever procedural mechanism we have available to us to get that." Latz tried to force a vote on similar legislation last year but his procedural move failed. Flipping suburban Republican senators in districts where Democrats captured House seats last November will be the key this time, he said, adding that gun control has become a "decision point" in how suburban mothers vote. "It might ultimately come down to the ballot box in November 2020," he said. 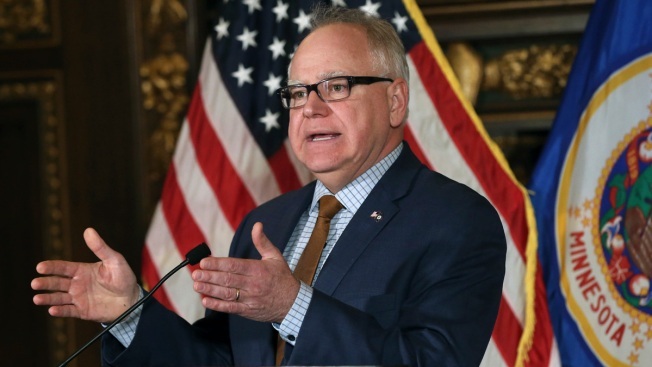 Also Tuesday, Walz repeated his condemnation of remarks at the rally by Rep. Cal Bahr , who told the crowd it was "time to start riding herd" on people who would roll back gun rights, adding: "They will not go quietly into the good night. They need to be kicked to the curb and stomped on and run over a few times." The East Bethel Republican on Monday claimed that by "they" he meant the bills, not people, but Walz didn't buy it. "My pro tip of the day is, when you make a mistake like that just own it and say 'I'm sorry,'" the governor told reporters.